At the Ice Hotel in Jukkasjärvi, Sweden with its icicle architecture, snow carpets, and glacial furniture. The hotel, with its rooms of chiseled ice walls and its galleries of prefabricated crystalline forms, seem the appropriate setting for Zaha Hadid’s “Liquid Glacial” table. 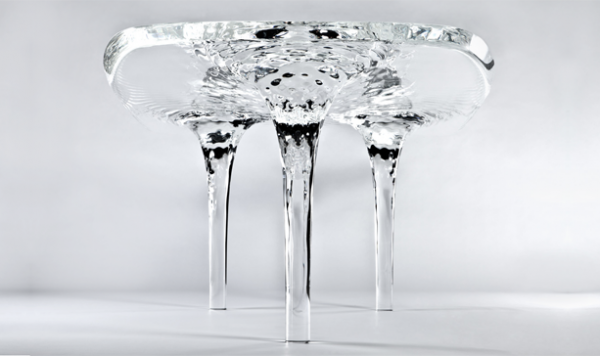 The piece, which recently debuted alongside the architect’s “Dune” collection at the David Gillshowroom in London, is made of clear acrylic cast in a form that, as its name implies, captures the critical point of phase change from liquid to ice. Hadid’s design impossibly freezes the rippling flows of water in motion before the surface has been allowed to settle, yielding a dramatic, highly stylized snapshot of the turbulent flows of natural systems. It’s evident that there are some higher parametric powers at work here, but we won’t disturb them, lest we provoke the wrath of their vortical forces and be blinded by their dazzling complexities. Zaha-post quota met for the week! Green walls, green roofs and vertical gardens are literally bringing life to modern architecture. Partially or entirely covered with vegetation, the facade of any modern residence can completely change the overall feel of a house for the better, both aesthetically and functionally. For today we decided to present a selection of the most impressive green walled projects out there, in order to provide inspirations for those of you thinking of giving your home an Eco-friendly appearance. Just click on the name of each project and the architects’ link for more information and further pictures of the building in question. #1. The Meera House was designed by Guz Architects and is located on the island of Sentosa in Singapore. We consider it a daring and original project- after all, not many homes feature green spaces for every floor of the building. How do you like it? #2. Initially built by architect Wilfried Hilger for his family, House S was recently redesigned by German studio CHRIST.CHRIST.Associated Architects. Located in Wiesbaden, Germany, the modern dwelling is a masterpiece of contemporary urban development, creating a balanced volumetric architecture that allows further building if necessary. The roof line creates new opportunities in residential dwelling and features an insulating green cover. #3. Black Beauty Tierra Villa is an impressive modern residence located in the Black Beauty Village in Ostional, Costa Rica. The 2,992 square foot project features three bedrooms, two and a half bathrooms, a unique surrounding landscapes and green roofs that make it a modern eco-jungle villa. #4. Located in the picturesque region of Cap-a-l’Aigle in the heart of Charlevoix, Quebec, Canada, the The Malbaie V residence was envisioned by Montreal-based studio Mu Architecture and displays an inspiring design. The exterior is defined by simple geometrical volumes wrapped in wood and a green roof that insulates the building. #5 Dutch NL Architects recently completed Blok K, a building that is included in a larger project of 500 dwellings and a park, by Frits van Dongen of de Architecten cie. The triangular site for this massive project is located in the recently redeveloped harbor area in the East of Amsterdam, the Netherlands. Blok K showcases an intriguing roof line, with green additions and relaxation opportunities for the inhabitants. #6. The School of Art, Design and Media at Nanyang Technological University in Singapore displays an amazing swirling green roof where students can have lunch and study sessions. Blending nature and hi-tech, this building stands up to the creativity it accommodates and acts as a factor of attraction for new students every year. #7. High above Lake Lucerne, with breathtaking views of the water and the Alps in Switzerland, lies this massive contemporary home with an architecture that is truly dazzling. Designed byUngertreina, the project called Villa Am See, has a sculptural and dynamic appearance and consists of three residential volumes, each with its own layout. The building has concrete, glass and green walls. Have a look! #8. The Sun House was envisioned by Singapore-based studio Guz Architects in a bungalow area and features plenty of natural elements in its fresh design. A central water court forms the focal point of the project. Lushly planted roof gardens enhance the natural effect that defines the entire residence. #9. An impressive, modern golf and club house rises in Jeollanam-do (South Jeolla), South Korea. The Green Weaving Club House spreads over 5,670 square meters, but the building had to be constructed on a long and narrow site. This challenged the designers, Hyunjoon Yoo Architects, and they created a fantastic place where golf connoisseurs can enjoy modern facilities in a contemporary setting. Ivy and slow- growing Pachysandra terminalis with glossy green leaves cover some of the exterior walls, providing an Eco-friendly feature. #10. The Semiahmoo Library Green Wall was recently uncovered in the White Rock suburb of Vancouver, Canada. Designed and constructed by North American-based design firm Green over Grey, the expansive living wall is the largest outdoor green wall in the region. The living wall covers 3,000 square feet and consists of over 10,000 individual plants representing more than 120 unique species. #11. The chess board is a real inspiration in the world of design and architecture. This next building is a living proof. Designed by architects Sansiri and landscape architects Shma, the remarkable chequered facade of this Bangkok showroom entitled Vertical Living Galleryfeatures native plants, an approach that gives the building a fresh and original appearance. #12. Ricardo Bofill is the proud inhabitant and creator of one of the best architectural reconversions. An old cement factory became the playground of a fabulous array of art and culture. On a surface of over 3,100 square meters that used to serve as an industrial building, the architect recreated a space of wonders, grouping different spaces with various artistic and residential purposes: offices, archives, a model laboratory, an exhibition space,an apartment, guest rooms and gardens. #13. Cluny House was designed by Guz Architects and is an impressive sustainable residence located in Singapore. According to the architects, “photo-voltaic cells and solar water heaters are employed together with design for passive cooling and cross ventilation to reduce energy usage. Irrigation tanks and roof gardens collect and recycle rainwater; and the use of materials such as recycled teak and artificial timber adds warmth without compromising the finite resources of our environment”. Lovely, isn’t it? #14. Design studio Bricault developed the Brooks Avenue House in Venice, California for a growing family. The project was in fact a remodel of their existing 2000 square foot home, while creating a 1700 square foot addition and courtyard on the rear lane side. The extension is clad with a living wall system on three sides, a visual connection between the courtyard greenery with the planted roof. #15. SuperLimão Studio and Campana Brothers designed the incredible Firma Casa in Brazil, a showroom clad with no less than 3500 plant vases! The aluminum sheets remind one of the art of origami. An efficient draining system making the water flow from one vase to the next until eventually reaching the ground contributes to the development of the plants in optimum circumstances. #16. The cute Lord of the Rings Hobbit Houses in New Zeeland may not be your ideal accommodation space, but they are as green as they get. Moreover, they can provide inspiration for building a home integrated in a hill, which can make for a pretty interesting crib. #17. Plan B Studio promotes sustainable living and building Eco-friendly. House M in Colombia stays true to these principles and displays a V-shaped green roof. #18. Architects Samyn and Partners developed an intriguing home in the outskirts of Brussels showcasing a flourishing facade and roof from a selection of exotic plants. It may not appear so in the image, but the residence has a total of four floors and serves as living and working space for a cinematographer and his family. #19. X Architekten have created a project entitled Hole 19- Golfclub St. Oswald. According to the architects, “the club house merges with the landscape and integrates consistently into the natural surroundings, almost being completely absorbed by it. Its outer and inner rooms are designed as a seamless transition into the golf course and become one with the surrounding sports grounds”. #20. Designed by McGlashan Architecture to fade into the natural landscape, this next Californian house displays charming cascading green roofs. The three-level contemporary home “mirrors” the surrounding hills and provides a living environment that is both aesthetically appealing and healthy. Joseph Walsh (born in 1979) founded his Studio in 1999 in Co. Cork, Ireland. 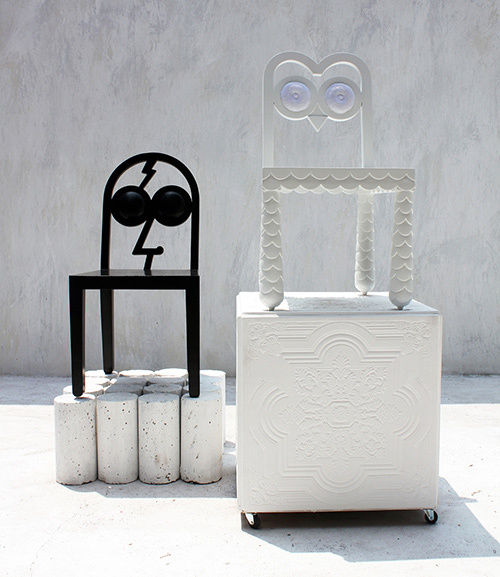 His experimentation with design and making began at an early age and he is self-taught. 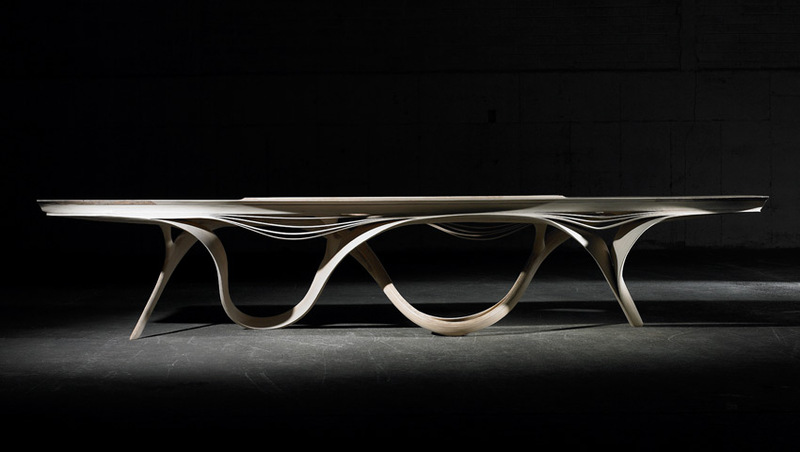 Over the years he has pushed the boundaries of working with wood resulting in a significant body of knowledge around the material and its potential. 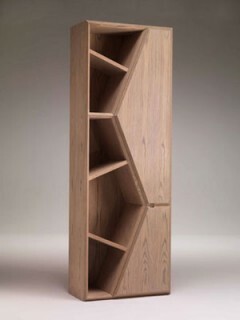 Walsh’s design approach stemmed from this intimacy with wood, the techniques he had mastered and the combined potential to create structures and form. Today, this experience and fluency with techniques allow him to start at a more conceptual point and explore its many interpretations. 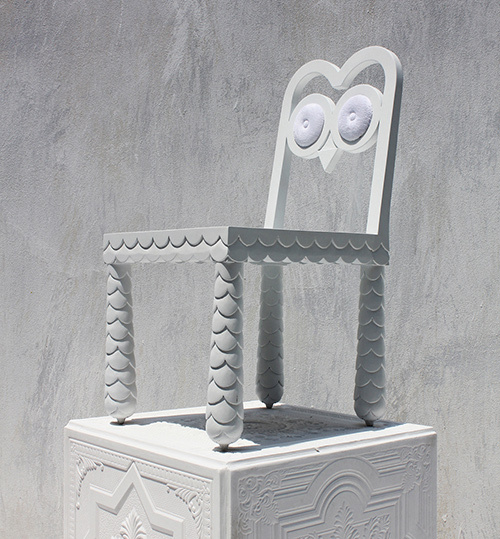 Wether you like this quirky chair design by 56th Studio or not, you can’t deny that it stirs some sort of emotional reaction. In that sense, they could be equated to art that can be sat upon. 56th Studio is a multidisciplinary design studio, involved in graphic, product, prop and set design, to name a few. They describe their style as “luxe-personified yet kitschy, neo-ethnic, eclectically bold and youthful”. 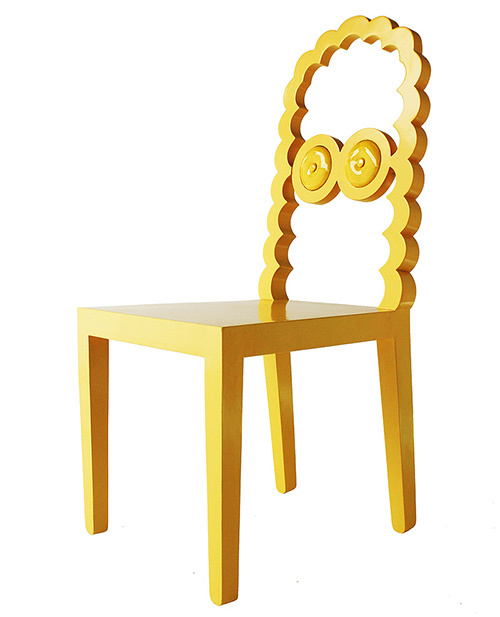 We like these chair designs because they are surprising and different. 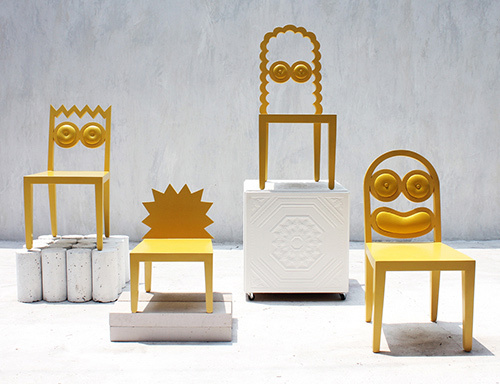 Given that most of the chairs seem to have somewhat of a face, it seems they have their own personalities. The goal at 56th Studio is to create designs that are not only functional but that also communicate something. What are these chairs saying to you? Visit 56th Studio for more fun. La storia inizia nel 1928 con Carlo Boffi che, da artigiano, si conquista la fama di uno dei migliori intagliatori di sedie, capace di riproporre lo stile tipico francese del periodo Louis XV – Louis XVI. 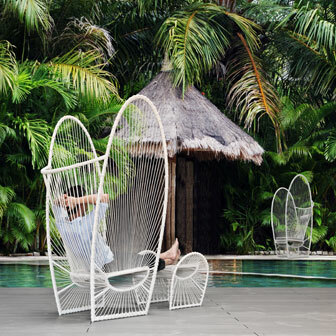 Ferris easy armchair and ottoman in handwoven nylon over powdercoated-steel frame by Kenneth Cobonpue, 888-889-9005; kennethcobonpue.com. 1919 Istanbul. A family enterprise was born into the carpet-making industry that had not changed for centuries. Built upon a foundation of creativity and desire to make rugs as a key element of interior design, the company became the market leader over three generations of successful enterprise. Deep carpet culture embedded in the country, city and family roots is reborn with STEPEVI with a strong focus on refined collection of modern luxurious rugs and home accessories. From the success of the parent company STEP in Istanbul, STEPEVI is in a proud position to further re-define rugs across the world with a wealth of experience and expertise in the world’s rug making capital. Combining traditional rug making techniques with new technology, STEPEVI is a pioneering interiors brand with innovative collections inspired by the latest fashion colors and textures. 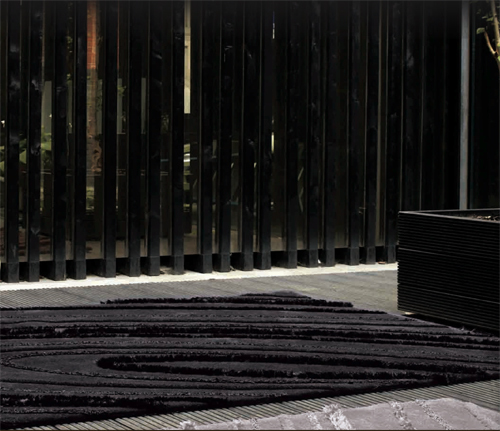 Today, STEPEVI is an undisputed benchmark of contemporary rugs with boutiques in London, Paris, Milan, Istanbul, New York, Dubai and many other design capitals of the world. WHEN I LISTENED TO THOSE WORDS FROM HIS HISTORIC 2005 COMMENCEMENT SPEECH AT STANFORD UNIVERSITY, STEVE JOBS HAD NOT YET REVOLUTIONIZED THE CELL PHONE INDUSTRY, UNVEILED THE FASTEST SELLING COMPUTER OF ALL TIME, NOR HAD APPLE BECOME THE MOST VALUABLE COMPANY IN THE WORLD. IN THE DAYS FROM THAT SPEECH UNTIL HIS RECENT PASSING IN OCTOBER 2011, STEVE DEMONSTRATED HOW PRECIOUS AND VALUABLE TIME CAN BE. 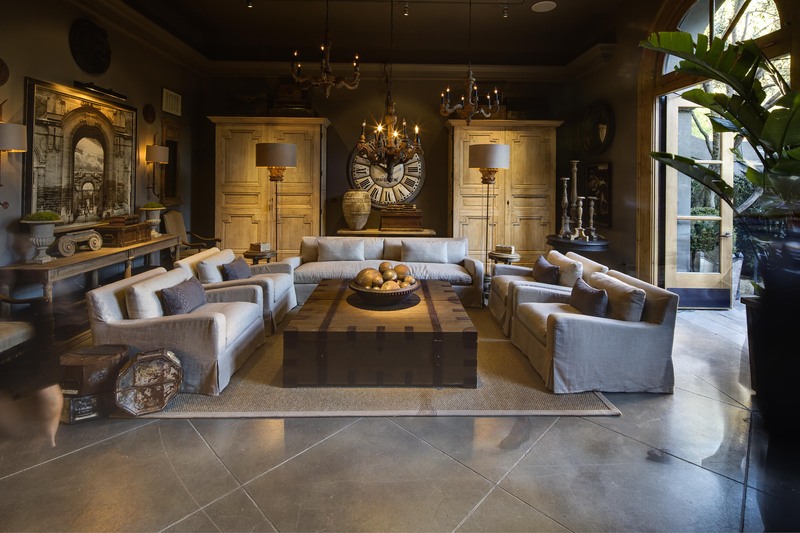 Steve’s legacy has inspired us at Restoration Hardware to trust our instincts and follow our heart. The pages of this newly designed Source Book, Outdoor Book and the Special Edition of Big Style/small spaces are filled with examples of our vision to create an inspiring and irreverent style movement. 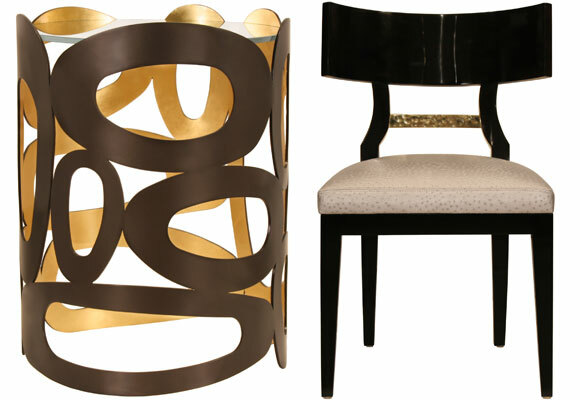 From our new collection of Deconstructed Furniture, to the illustrious cities featured in Big Style/small spaces, to the story of Theo Eichholtz and his Russian oak tables, to the making of our new Houston Gallery, our new collection is void of dogma, full of passion and, most importantly, represents our aspirations of what we truly want to become. To Steve and the Apple team: Thank you for inspiring our team. And, for proving that those people who are crazy enough to believe they can change the world are the ones who usually do. Available in a plethora of finishes, the collection features plenty of dark woods, metal legs and lounge-worthy chairs and sofas. Not one to shy away from accessibility, Philip Nimmo designs everything from chandeliers to sconces to side tables. His latest collection hit showrooms last fall. This huge inflatable structure consists of almost 100 brightly coloured chambers radiating from a cathedral-like performance space. Visitors don coloured capes to wander around the labyrinth and at weekends musicians perform throughout the structure, providing an experience that is a fusion of colour and sound.